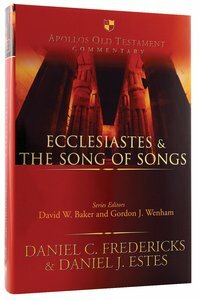 For Daniel Fredericks, allowing the thematic words and phrases of Ecclesiastes to speak with their Hebrew voices demonstrates its affinity with the breadth of Old Testament legal, poetic, wisdom and prophetic writings as well as the teachings of Christ and the apostles. Ecclesiastes is found in the canon of Scripture because it plays a significant role in a cumulative theology of the Old and New Testaments. About "Ecclesiastes and the Song of Songs (Apollos Old Testament Commentary Series)"
The books of 1 and 2 Kings cover the history of Israel from the last days of the united kingdom under David to the eventual fall of the kingdoms of Israel and Judah. Within these books, the deuteronomic code - 'doing what is right in the Lord's sight' - provides a framework by which monarchic history is measured. In the kings' cultic failures lies the apostasy of the nation and its eventual exile. This apostasy centres on Israel's commitment to worship YHWH exclusively, and to worship according to deuteronomistic norms within the Jerusalem temple as the locus of YHWH's covenant presence. To safeguard the kings' commitments, YHWH's prophets loom large in 1 and 2 Kings: they herald YHWH's purposes, warn of his judgment for apostasy, and woo his people back to the full experience of covenant life. The books of Samuel contain two of the Bible's best-known stories - David's encounter with Goliath (1 Sam. 17), and his sin with Bathsheba and the murder of Uriah (2 Sam. 11). However, Samuel does more than just tell stories, particularly of how first Saul and then David became king of Israel and the mistakes both made; it also offers a profoundly theological reflection on this formative part of Israel's history and an artistic telling of it. We are told how Israel's monarchy began: the way this is done points to the interpretation of these events. Thus, in this excellent commentary, David G. Firth takes seriously the narrative techniques employed in the books of Samuel. Arguing that the books are a carefully constructed, intentional unit for interpretation, he explores the central theme of how the reign of God is worked out in the interplay between king and prophet. What emerges is a text that spoke with power into its own context - and which continues to address believers today. With even-handedness and clarity, Ernest Lucas demonstrates that there is much in Daniel that is understandable and applicable, and that it offers theological depths which are rewarding for those willing to wrestle with the issues they raise. In this outstanding commentary, McConville argues that in the context of the ancient world, Deuteronomy should be understood as the radical blueprint for the life of a people, at the same time both spiritual and political, and profoundly different from every other social, political and religious programme. This first rate commentary grapples with the complexities of the carefully constructed literary collage of Exodus. Exodus scholar Alexander shows how the great salvific narrative reveals a God who passionately desires to draw people into an intimate and exclusive relationship with himself.